The primary purpose of the Marriage Ministry at Family Community Church is to enrich marriage through biblical marriage seminars, retreats, fellowships and social outings. Our desire is to have married couples grow closer to one another through biblical principles and to bond with other couples for biblical accountability in their marriages. 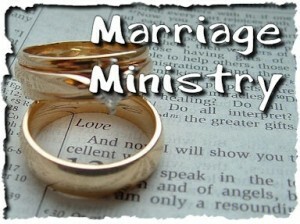 We, as a ministry, define marriage from a biblical perspective as consisting of one man and one woman (Genesis 3:18-24). We also desire these couples to invite non-churched, non-Christian married couples to our gatherings in hopes of encouraging them to have a relationship with Christ.